After speculation over the highly coveted seat as the only female member of Running Man China Season 5 has thrown names like f(x) Victoria Song, SNH48 Ju Jing Yi and Zheng Shuang into the running, Dilraba Dilmurat (Three Lives Three Worlds) takes the cake as she will temporarily replace Angelababy (General and I) who is recovering from pregnancy. The 24-year-old actress's age and sunny image is not far from that of her predecessor's and her popularity has been soaring this year with hits like Pretty Li Hui Zhen and Three Lives Three Worlds, and yet it is only February! It must be no easy feat but she seems to have won over the public and protective fans alike who are quite receptive to her addition. 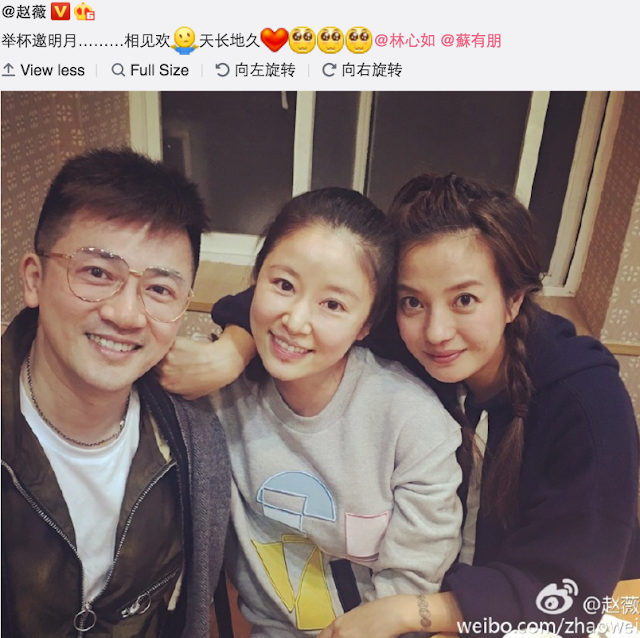 She joins the 6-man team comprised of Deng Chao, Li Chen, Chen He (Legend of Ace), Ryan Zheng (Wong Fei Hung), Wang Zu Lan and Luhan (Fighter of the Destiny). 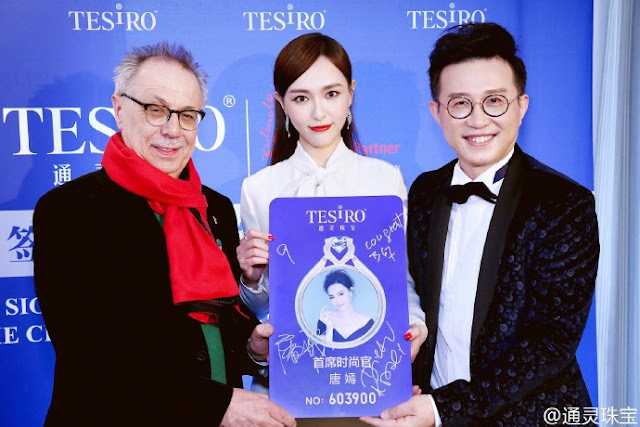 On Feb. 9, Tiffany Tang Yan (Princess Weiyoung) attended the 67th Berlin International Film Festival as the newest employee of Tesiro Jewelry. 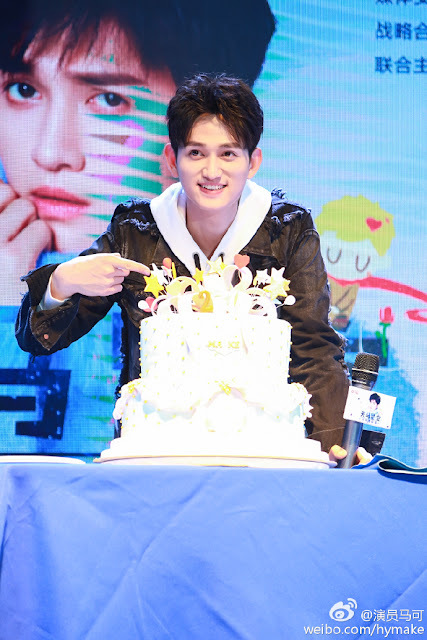 The company's CEO Shen Dong Jun officially announced her as the fashion ambassador just before the event. Feng Shao Feng (Ice Fantasy) and Bea Hayden Kuo (Wong Fei Hung) are hounded with dating rumors after paparazzi snapped photos of the two outside a building. Word on the street is that the actress spent a few nights at Feng's house and celebrated Lunar New Year with his family. 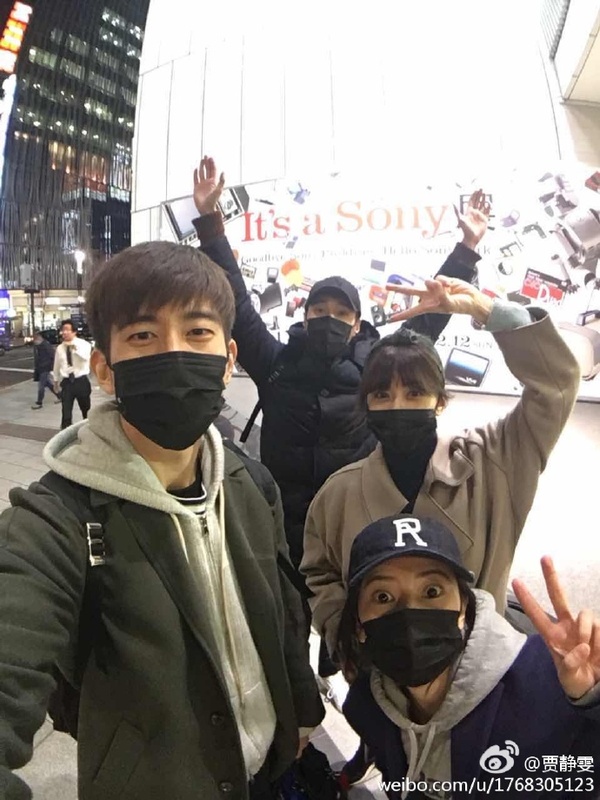 Feng Shao Feng's camp stated that the they were merely eating together as he was acting the part of a host during the Taiwanese actress's visit to Shanghai. I remember when Feng Shao Feng used to be one of the most eligible bachelor's and the epitome of tall rich and handsome 高富帅 when he was dating Ni Ni but he went from that to creepy older man when he began dating the extremely young Jelly Lin. Although that relationship was never officially confirmed, they have supposedly broken up so the timing of this new lady love so soon brings doubt to many who wonder if it is all a gimmick to hype up The Starry Night The Starry Sea which is currently airing on Hunan TV. Ma Ke (Journey of Flower) turned 27 on Feb. 9, celebrating his birthday together with fans for the first time. Alec Su, Ruby Lin (Singing All Along) and Vicki Zhao (Painted Skin Resurrection) had a mini get together this month. Can you believe that it has been almost twenty years since their drama My Fair Princess? In Hong Kong entertainment, Anita Yuen received flowers from hubby Julian Cheung (Sword of Legends Movie) as they celebrated their 16th wedding anniversary with good friends. Lin Gengxin (God of War Zhao Yun) turned 29 on Feb 13 and his buddy Mark Chao sent greetings along with a photoshopped Three Lives Three Worlds poster changing Yang Mi's face to that of Lin Gengxin. The two were certainly never shy about their bromance. 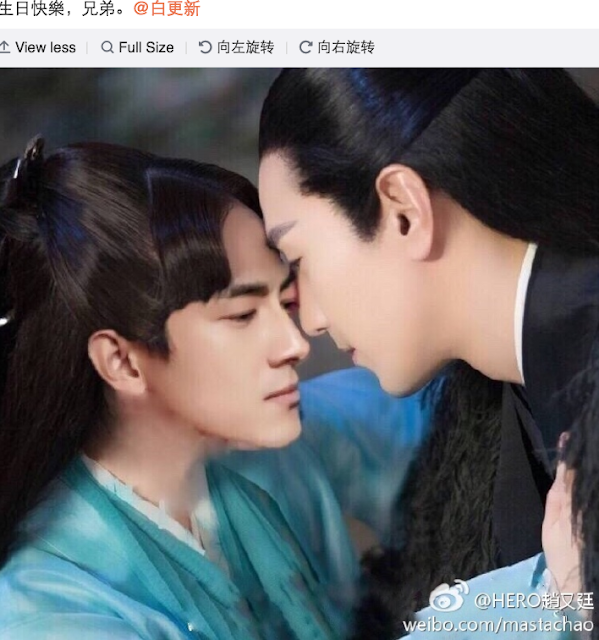 During promotions for Journey to the West 2 on the variety show Happy Camp, Lin Gengxin chose to call Mark Chao during a phone a friend segment. I just realize how much I don't keep up with Taiwanese celeb news anymore. Alyssia Chia (42) who divorced back in 2010 has been married to fellow actor Xiu Jie Kai (33) since 2014 with a second baby on the way. I only found out after snooping around for some Three Lives Three Worlds gossip and seeing Alyssia Chia posting a picture of her and her hubby celebrating Valentine's Day with another celebrity couple in Tokyo. Can you guess who?